Contact us to discuss your project and get a free quote! Take a closer look at our company and the services we provide to our clients. We have fully qualified engineers to ensure we provide high quality lining solutions for our clients. Providing Anaerobic Digestion tank liners services and Anaerobic Digester lagoons. Call us for more information and to discuss your project. Helping the farming sector deliver a wide range of services including Farm Slurry Lagoons & Farm Slurry pits. We supply a number of Landfill Services including Landfill Capping Liners and Landfill Basel Liners. Give us a call to discuss your project further. Preferred installers of Concrete Canvas. Installing CCHydro for channel lining and Slope Protection among other Concrete canvas services. Attenuation Ponds, Balancing Ponds, Water Retention Ponds & SuDs solutions. Helping our clients deliver stormwater and flood basin solutions to protect roads and developments from flooding. Whatever your containment lining or plastic lining needs please give us a call to discuss your project. We have extensive experience in HDPE Liners installation. We have delivered many lake lining, pond lining and bespoke golf course / wild life projects. Callus for more information. Supplying a number of Reservoir services. Including standard Reservoir Lining, and Reservoir roof lining solutions. Aquaculture lining projects. Aquaculture Tank Liners, Aquaculture Pond Liners, Fish Farm Pond Liners Fish Farm Tank Liners. Prefabricated drop box solutions also available. Sean Carr Linings(SCLT) are one of the UKs leading geosynthetic lining experts. 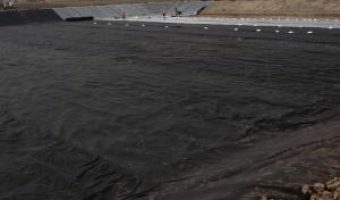 We supply and professionally install a wide range of geosynthetic liner products for a varied number of farming, agricultural and specialist clients. Our geosynthetic liner products include HDPE, LLDPE, FPP and EVA linings that come in a range of smooth and textured material. 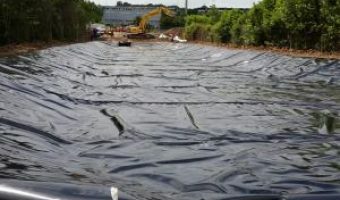 Specialists in Farm Slurry Lagoon Liners, Anaerobic Digestion Plants and Anaerobic Digestion Tank Liners, Containment Liners, Reservoir Liners and Landfill capping Liners. Would you like to speak to one of our sales team over the phone? Just submit your details and we’ll be in touch shortly. You can also email us if you would prefer.